The Round Table is one of the newest restaurants in Kapitolyo Pasig City that specializes in serving what they called an Eat-All-You-Can Tasting Session. If you love affordable buffet restaurants and have penchant for trying out variety of high quality dishes, I must say The Round Table can be a place for you. With the current promo price of Php199 and a regular price of Php295 per person, what else could we ask for? With the burgeoning foodie scene in Kapitolyo, The Round Table aims to offer something different and fresh by offering daily themed buffet - something no business in the area has offered before as far as I know. Trailing a bit down the memory lane, The Round Table started as Q Bistro located at Malayan Plaza in Ortigas back in June of 2006 which band of creative minds in the kitchen headed by Chef Mia K. Capay, a product of Professional Culinary Institute in California now known as the French Culinary Institute. Four Seasons HotPot City is the newest buffet concept that opened recently along SM By The Bay at SM Mall of Asia. This newest buffet restaurant in Manila specializes in hotpot / shabu-shabu creations which diners can customized by themselves with fresh and healthy ingredients. Being under the umbrella of the famous buffet chain, Vikings Group, Four Seasons HotPot City holds the promise of providing luxurious feast of unlimited proportion. In a nutshell, Four Seasons HotPot City concept spring forth from the cook-your-own-food idea which is not really new in the food scene and the noble idea of farm-to-table, a fairly new practice in Manila restaurant scene but not at all a foreign concept. But as expected of any Vikings Group restaurants, it goes beyond that. 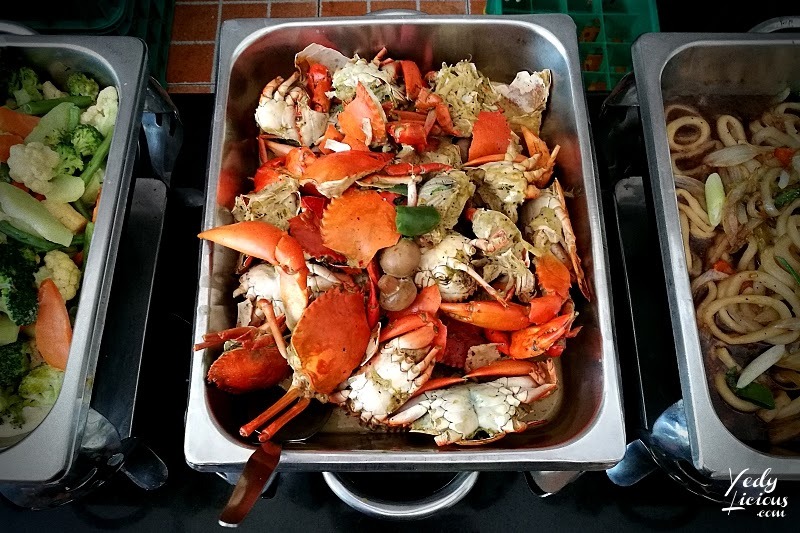 The recent opening of Vikings Luxury Buffet at SM City BF Parañaque, the 7th branch of what is tagged as the Philippines' largest and widely patronized buffet, proves that despite few unsavory commentaries, they are still on top of their game. Growing in numbers in terms of branches, continuing to make people happy, and being part of some of Filipino's special moments shared over variety of spreads unparalleled to any other; Vikings Buffet is a celebrated feast many patrons pray to stay. Judging from the long lines in all of its branches and often fully booked advanced reservations, it seems like Vikings Buffet meant to do just that. Recent roadtrip to the South prompted an opportunity to visit this newly opened Vikings SM BF. Having enjoyed some leisurely feasts in the past in some of their branches, I expected nothing less and I was not disappointed. It was worth the drive from the East to the South (Thank you Skyway, bumpy road in C6 can be hell at times). A feast of Turkish cuisine is what awaits buffet aficionados and eat-all-you-can lovers at Circles Events Cafe of Makati Shangri-La Hotel from August 1 to 10, 2014. This Turkish food festival at Circles features Treasures of Turkey in gastronomical form prepared by guest chefs from Shangri-La Hotel in Bosphorus, Istanbul, Chef Harun Imre and Chef Ramazan Edrem. These two talented chefs carried with them Turkish ingredients from Istanbul to make Treasures of Turkey Food Festival at Makati Shangri-La breaths authenticity. Treasures of Turkey will last only for 10 days. Yet, it holds the promise that within that span of time, colorful spices and exquisite flavors of Turkish cuisine will surely transport guests to the Republic of Turkey. International dishes at the buffet spread of Circles Events Cafe will still be available for guests to feast on during the festival, but the spotlight belongs to the Treasures of Turkey this time. During the media preview, we sampled some of the traditional dishes from Turkey which will be included in the festival. Chefs Imre and Edrem graced the luncheon to welcome us and give some insight about the cuisine they re most proud of. There aren't many Turkish restaurants here in Manila, hence, this chance is perfect for those who wants to savor the goodness of Turkey's rich cuisine. 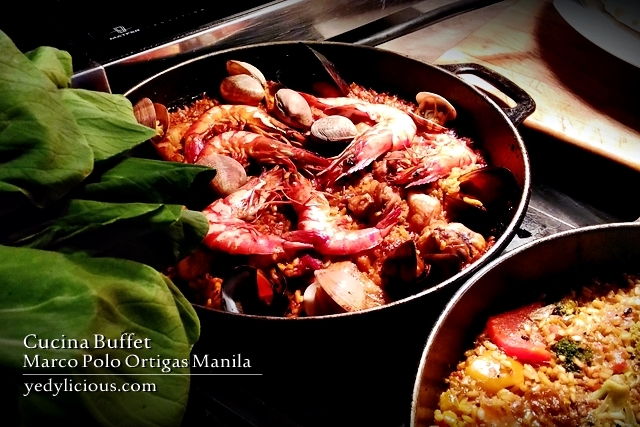 Tex-Mex Fiesta Grande Buffet at Oakroom Restaurant of Oakwood Manila + Buffet GIVEAWAY! Days after I have tried the Tex-Mex Fiesta Grande Buffet at Oakroom Restaurant of Oakwood Premier Joy-Nostalg Center Manila I was still raving about the goodness of their Americanized Mexican offerings. Truth be told, theirs are the best Tex-Mex dishes I have had. The fact that this buffet includes unlimited servings of Margarita and non-alcoholic drink Shirley Temple only took my experience up a notch. 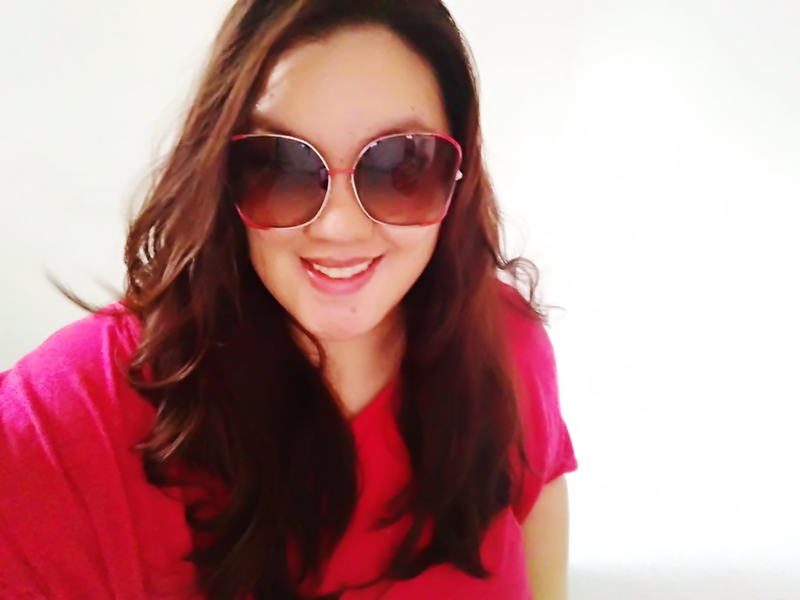 Although the buffet focuses mainly on specific cuisine, I wouldn’t mind saying that it was one of the best buffets in Manila that I have tried recently. Oakwood’s Executive Chef Jerome Catailler and his team really did a great job in creating feast of Tex-Mex dishes at Oakroom. Needless to say, they made a fan out of me. 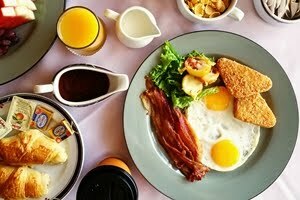 Oakroom Restaurant is known to dish out themed buffets every quarter that makes them a good candidate for best hotel buffets you would come across with. Unlike other hotel buffets, Oakwood Manila’s wouldn’t overwhelm you with exaggerated choices that are too impossible for you to try in one go anyway. Yet, it does not mean that you would be limited in terms of variants to choose from. As a matter of fact, their buffet spread is decent enough to get your money’s worth. Add to that, the fact that they focus more on the quality of their dishes assuring every diner that each and every food that they will get to enjoy is worth the calories. 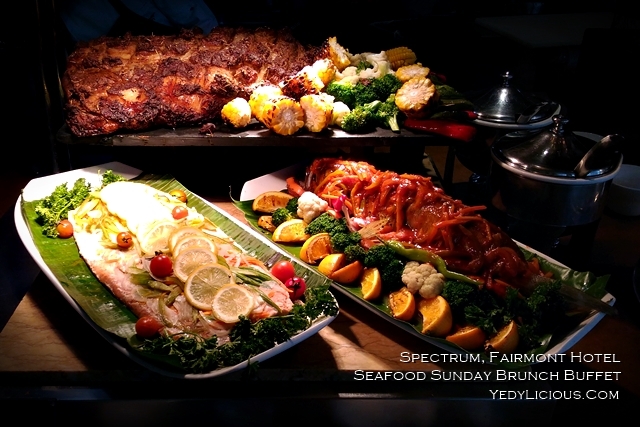 It was late last year when Dads Ultimate Buffet (which includes Saisaki and Kamayan Buffet), one of the pioneer when it comes to buffets here in Manila, added an exciting spin to its buffet offering that resulted to its conversion to Dads World Buffet. Dads Buffet has always been considered as one of buffets here in the country that offers wide variety of choices, yet, to keep up with the demands of our times, they decided to take their game to a notch higher by adding more food selections to their spread. These additions features variety of international dishes from all over the world, thus Dads World Buffet. It is literally a culinary journey translated to your plate for every dishes represents the country it hails from. The conversion of Dads Ultimate Buffet to Dads World Buffet started at their SM Megamall branch last year, and this year all Dads Buffet branches are expected to carry this new spin come August 1, 2014 when their newest branch at West Avenue opens. 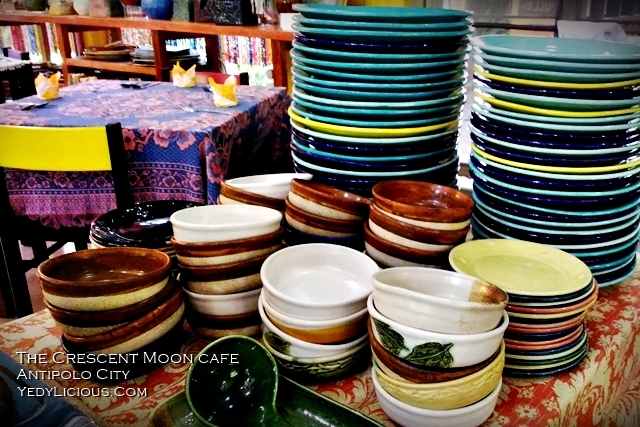 Aside from West Avenue, Dads World Buffet branches includes SM Megamall, Glorietta 3 Ayala Center, Manila, and EDSA. Dads Buffet is also known to carry and host different promos for their patrons. Discounted price on buffet rates including birthday promos are dishes out from time to time, hence, Dads Buffet is encouraging people to check out their website and their Facebook page for updates on promos. Each branch carries different promos from one another, hence, better to like all of their Facebook pages for updates. Best Buffets Food Blog Buffet Commonwealth Ave. I have to admit, I am one of those who is in constant search for the best and affordable buffets in Manila. So, when the chance to try The Buffet International Cuisine along Commonwealth Avenue in Quezon City presented itself, it became a persistent call that I couldn't bend my conscience quite enough to ignore. A handful of Manila food bloggers have shared their experience about The Buffet so, I figured it was high time to try it myself. The Buffet specializes in international dishes with emphasis in interactive approach to dining experience brought about by several buffet sections. This interactive spin on the buffet encourages diners to create their own food based on their liking and have the friendly chefs prepared it for them. There is also a buffet section wherein diners can cook their own food on their respective tables. The location of The Buffet is hard to miss. Standing along the busy street of Commonwealth Avenue, right beside Nissan Commonwealth. It's facade holds big signage of its name visible even if you are situated right across the location or even in a moving vehicle.